Grammy-nominated composer-pianist Vijay Iyer (pronounced “VID-jay EYE-yer”) was described by Pitchfork as "one of the most interesting and vital young pianists in jazz today," by the Los Angeles Weekly as “a boundless and deeply important young star,” and by Minnesota Public Radio as “an American treasure.” He was named DownBeat Magazine's 2015 Artist of the Year and 2014 Pianist of the Year, a 2013 MacArthur Fellow, and a 2012 Doris Duke Performing Artist. In 2014 he began a permanent appointment as the Franklin D. and Florence Rosenblatt Professor of the Arts in the Department of Music at Harvard University. 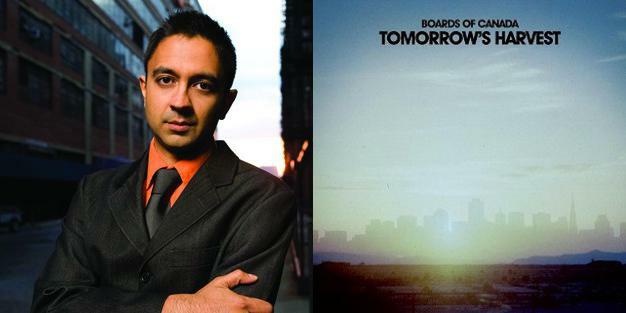 The New York Times observes, “There’s probably no frame wide enough to encompass the creative output of the pianist Vijay Iyer.” Iyer has released twenty albums covering remarkably diverse terrain, most recently for the ECM label. The latest include Break Stuff (2015), with a five-star rating in DownBeat Magazine, featuring the Vijay Iyer Trio, hailed by PopMatters as “the best band in jazz”; Mutations (2014), featuring Iyer’s music for piano, string quartet and electronics, which “extends and deepens his range... showing a delicate, shimmering, translucent side of his playing” (Chicago Tribune); and Radhe Radhe: Rites of Holi (2014), “his most challenging and impressive work, the scintillating score to a compelling film by Prashant Bhargava” (DownBeat), performed by International Contemporary Ensemble and released on DVD and BluRay. Iyer’s trio (Iyer, piano; Marcus Gilmore, drums; Stephan Crump, bass) made its name with two tremendously acclaimed and influential albums, Accelerando (2012) and Historicity (2009). Accelerando was voted #1 Jazz Album of the Year for 2012 in three separate critics polls surveying hundreds of critics worldwide, hosted by DownBeat, Jazz Times, and Rhapsody, respectively, and also was chosen as jazz album of the year by NPR, the Los Angeles Times, PopMatters, and Amazon.com. 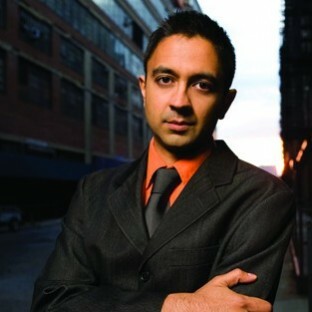 The Vijay Iyer Trio was named 2015 Jazz Group of the year in the DownBeat International Critics Poll, with Iyer having earlier received an unprecedented “quintuple crown” in the 2012 Downbeat Poll (winning Jazz Artist of the Year, Pianist of the Year, Jazz Album of the Year, Jazz Group of the Year, and Rising Star Composer categories), as well as a “quadruple crown” in the JazzTimes extended critics poll (winning Artist of the Year, Acoustic/Mainstream Group of the Year, Pianist of the Year, and Album of the Year). Iyer received the 2012 and 2013 Pianist of the Year Awards and the 2010 Musician of the Year Award from the Jazz Journalists Association, and the 2013 ECHO Award (the “German Grammy”) for best international pianist. Historicity was a 2010 Grammy Nominee for Best Instrumental Jazz Album, and was named #1 Jazz Album of 2009 in The New York Times, The Los Angeles Times, the Chicago Tribune, the Detroit Metro Times, National Public Radio, PopMatters.com, the Village Voice Jazz Critics Poll, and the Downbeat International Critics Poll, and the trio won the 2010 ECHO Award for best international ensemble. Iyer’s 2013 collaboration with poet Mike Ladd, Holding It Down: The Veterans’ Dreams Project, based on the dreams of veterans of color from America’s wars in Iraq and Afghanistan, was hailed as #1 Jazz Album of the Year by the Los Angeles Times and described in JazzTimes as “impassioned, haunting, [and] affecting.” Along with their previous projects In What Language? (2004) and Still Life with Commentator (2007), Holding It Down rounded out a trilogy of politically searing albums about post-9/11 American life. These projects were hailed as “unfailingly imaginative and significant” (JazzTimes) and praised for their “powerful narrative invention and ravishing trance-jazz... an eloquent tribute to the stubborn, regenerative powers of the human spirit” (Rolling Stone). Iyer's accomplishments extend well beyond his recordings. His recent composer commissions include “Playlist for an Extreme Occasion” (2012) written for Silk Road Ensemble (and released on their 2013 album A Playlist without Borders); “Dig The Say,” written for Brooklyn Rider and released on their 2014 album Almanac; “Mozart Effects” (2011) and “Time, Place, Action” (2014) for Brentano String Quartet; “Bruits” (2014) for Imani Winds and pianist Cory Smythe; “Rimpa Transcriptions” (2012) written for Bang on a Can All-Stars; “UnEasy” (2011) commissioned by NYC’s Summerstage in collaboration with choreographer Karole Armitage; “Three Fragments” (2011) for Darcy James Argue’s Secret Society. His orchestral work Interventions was commissioned and premiered by the American Composers Orchestra in 2007 under the baton of Dennis Russell Davies. It was praised by The New York Times as “all spiky and sonorous,” and by the Philadelphia City Paper for its “heft and dramatic vision and a daring sense of soundscape.” Other works include Mutations I-X (2005) commissioned and premiered by the string quartet ETHEL; “Three Episodes for Wind Quintet” (1999) written for Imani Winds; a “ravishing” (Variety) score for the original theater/dance work Betrothed (2007); the award-winning film score for Teza (2008) by legendary filmmaker Haile Gerima; a suite of acoustic jazz cues for the sports channel ESPN (2009); and the prize-winning audiovisual installation Release (2010) in collaboration with filmmaker Bill Morrison. Forthcoming commissions include pieces for Jennifer Koh, Orpheus Chamber Orchestra, and So Percussion. His concert works are published by Schott Music. 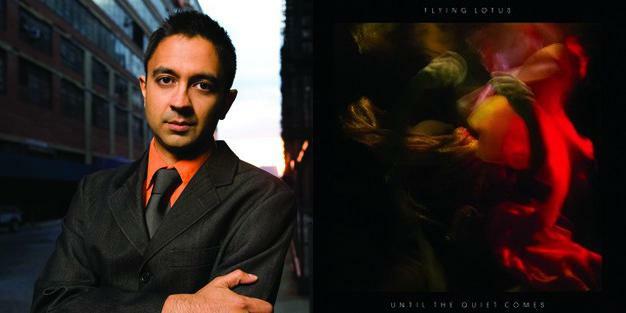 An active electronic musician and producer, Iyer displays his digital audio artistry on his own recordings Still Life with Commentator, Holding it Down, Mutations, and Radhe Radhe, and in his remixes for British Asian electronica pioneer Talvin Singh, Islamic punk band The Kominas, and composer-performer Meredith Monk. Iyer was voted the 2010 Musician of the Year by the Jazz Journalists Association, and named one of 2011’s “50 Most Influential Global Indians” by GQ India. Other honors include the Greenfield Prize, the Alpert Award in the Arts, the New York Foundation for the Arts Fellowship, the India Abroad Publisher’s Special Award for Excellence, and numerous critics’ prizes. Iyer’s many collaborators include creative music pioneers Steve Coleman, Wadada Leo Smith, Roscoe Mitchell, Butch Morris, George Lewis, Amina Claudine Myers, William Parker, Graham Haynes, Miya Masaoka, Pamela Z, John Zorn; next-generation artists Rudresh Mahanthappa, Rez Abbasi, Craig Taborn, Ambrose Akinmusire, Liberty Ellman, Steve Lehman, Matana Roberts, Tyshawn Sorey; Dead Prez, DJ Spooky, Himanshu Suri of Das Racist, High Priest of Antipop Consortium, DJ Val Jeanty, Karsh Kale, Suphala, Imani Uzuri, and Talvin Singh; filmmakers Haile Gerima, Prashant Bhargava, and Bill Morrison; choreographer Karole Armitage; and poets Mike Ladd, Amiri Baraka, Charles Simic, and Robert Pinsky. A polymath whose career has spanned the sciences, the humanities and the arts, Iyer received an interdisciplinary Ph.D. in the cognitive science of music from the University of California, Berkeley. He has published in Journal of Consciousness Studies, Wire, Music Perception, JazzTimes, Journal of the Society for American Music, Critical Studies in Improvisation, in the anthologies Arcana IV, Sound Unbound, Uptown Conversation, The Best Writing on Mathematics: 2010, and in the forthcoming Oxford Handbook of Critical Improvisation Studies. Iyer has taught at Manhattan School of Music, New York University, and the New School, and he is the Director of The Banff Centre’s International Workshop in Jazz and Creative Music, an annual 3-week program in Alberta, Canada. Iyer recently finished a multi-year residency with San Francisco Performances, cultivating new audiences and working with schools and community organizations. He is a Steinway artist and uses Ableton Live software. Iyer has also composed orchestral and chamber works; scored for film, theater, radio and television; collaborated with poets and choreographers; and joined forces with artists in hip-hop, rock, experimental, electronic, and Indian classical music. He has performed and recorded with Steve Coleman, Rudresh Mahanthappa, Mike Ladd, Roscoe Mitchell, Wadada Leo Smith, Amiri Baraka, Amina Claudine Myers, Butch Morris, Oliver Lake, dead prez, Das Racist, Karsh Kale, Talvin Singh, Imani Uzuri, Craig Taborn, and DJ Spooky, among others. He teaches at Manhattan School of Music, New York University, The New School, and School for Improvisational Music. His writings appear in Music Perception, Journal of Consciousness Studies, Current Musicology, JazzTimes, Wire, The Guardian, and the anthologies Uptown Conversation, Sound Unbound, Arcana IV, and The Best Writing on Mathematics: 2010. Read more on Last.fm. User-contributed text is available under the Creative Commons By-SA License; additional terms may apply.